Osram is presenting its latest automotive lighting products at Automechanika, one of the world’s largest trade fairs for the automotive service industry held biennially in Frankfurt, Germany. This year the event is taking place during September 11-15 with more than 5,000 exhibitors joining the fair. Osram has defined itself as a high-tech company by displaying its technologies of automotive lighting at the show under the slogan “Driving ahead,” highlighting its LED replacement lamps, new product lines, complete LED retrofit headlights for the VW Golf VII and updates for the Night Breaker performance lamps. In addition, Osram was honored with the Automechanika 2018 Innovation Award with its LEDriving headlights for the VW Golf VII in the Electronics & Systems category. 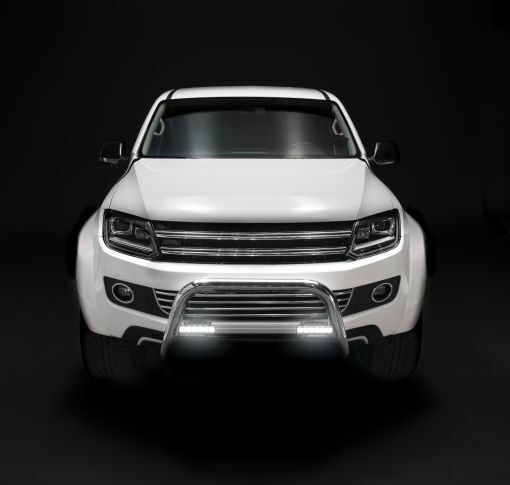 The LED replacement lamps are designed to replace halogen lamps used for high beam, low beam and fog lights. The LED solutions feature high quality light source and easy installation. Meanwhile, Osram is introducing its new product lines for the first time during the event. The new LEDriving work lights and additional headlights provide additional illumination for large areas, delivering better visibility to the users. Furthermore, the polycarbonate lenses are strong enough to withstand heavy loads. The new products lines will be available from November 2018 for 12 V and 24 V systems. 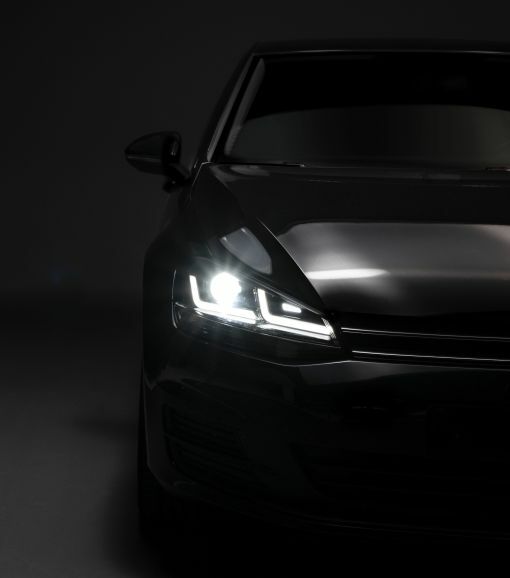 The award winning LEDriving retrofit headlights for the VW Golf VII replace the halogen and xenon lights with state-of-the-art LED technology and offer greater output than the original headlights. Low-beam, high-beam, daytime running lights, position lights and turn indicators are all combined in a complete LED retrofit headlight. Osram also upgraded its Night Breaker performance lamps and other high-output lamps to provide higher brightness than the legal minimum requirement. The better illumination allows drivers to have more reaction time to avoid dangerous situations and obstacles. “Our aim is to continue developing our offering to match the needs of the market. Once again this year we are raising the bar in vehicle lighting with various new products and upgrades,” said Hans-Joachim Schwabe, CEO Specialty Lighting at Osram.